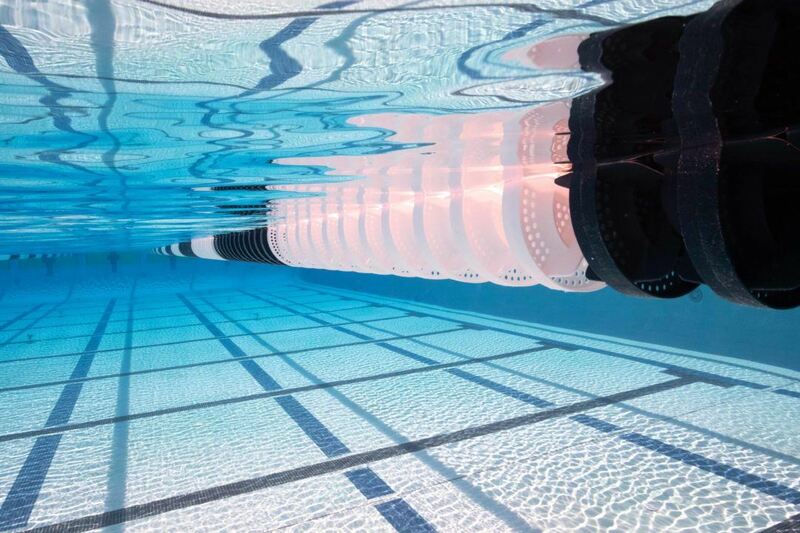 Several Canadian age group records went down and there were plenty of best times at the 2019 Canadian Eastern Championships, where the youth swimmers largely out-classed their older competitors over the weekend in Quebec. 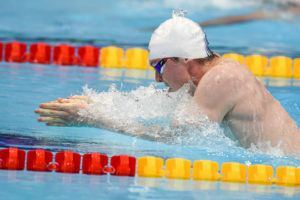 Josh Liendo of North York Aquatic Club and Charlie Kwinter of Etobicoke Swimming were two swimmers at the center of NAG action. 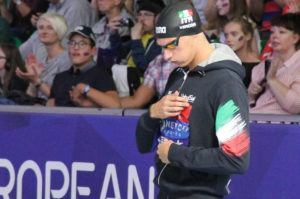 Liendo, who was recently selected to the Canadian roster for both the 2019 World Champs as well as the 2019 World Junior Champs, threw down a 52.13 to take the 100 fly, a seven-tenths drop from his own 15-17 NAG mark. More on that swim here. Liendo also split a 49.41 anchoring NYAC’s 400 free relay, which had a 54.6 leadoff from Samuel Griffith and 51-low middle legs from twins Justin and Reilly Baker. They combined for a 3:26.62, taking eight tenths from Oakville Aquatic Club’s 15-17 NAG record in the relay. Liendo is 16, while the other three are 17. Liendo had an all-around fantastic meet, seeing huge drops in his 200 free (1:50.62, taking off five seconds) and the 200 fly (2:00.52, taking off two and a half seconds). 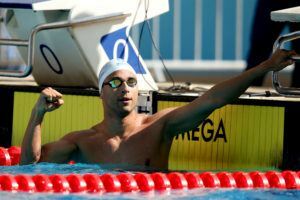 He also registered near-bests of 49.82 in the 100 free, 23.08 in the 50 free, and 24.82 in the 100 fly. 14-year-old Kwinter, meanwhile, set a new 13-14 NAG mark in the 800 free. He posted a time of 8:25.83 in that race, slicing exactly two seconds from Jamie Stevens‘ record from way back in 1989. On the women’s side, it was the young Katrina Bellio who really stood out. Bellio, 14, had perhaps her biggest swim in the 200 free, where she went 2:00.84 to win the race. That was a substantial drop from just a week earlier at the Canadian Worlds Trials, where she went a then-best 2:02.53– she’s now within tenths of Taylor Ruck‘s 2:00.52 13-14 NAG record. Bellio also went 2:16.94 in the 200 fly, a three-second drop from her old best, and hit bests in her 200 IM (2:17.72) and 400 free (4:16.70). Though they weren’t lifetime bests, Bellio put down impressive performances in her wins in the 400 IM (4:48.95) and 800 free (8:45.91). Bellio faced stiff competition in the youth 200 IM final, as she went head-to-head with Regan Rathwell of Greater Ottawa Kingfish Swim Club. Rathwell wound up just short, but still put forth an impressive 2:17.96. The 15-year-old Rathwell also won the youth 100 back, going 1:02.53 to edge 14-year-old Dylan Scholes of Oakville (1:02.95). Madison Broad (18) of the Chatham Y Pool Sharks took the open category backstroke wins, going 1:01.43 in the 100 and 2:12.85 in the 200. Alexander Milanovich of Etobicoke Swimming clocked a 27.99 to take the 50 breast. 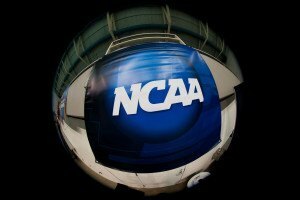 The 17-year-old recently announced a verbal commitment to the University of Tennessee. 20-year-old Mehdi Ayoubi of CAMO posted a 22.68 to win the open 50 free on the men’s side. 3) On the men’s side, in the longer distances, beside 14 year-old Kwinter, good results for 15 year-old Alexandre Axon in the 400 free (4.00.78), 800 free (8.16.04), 1500 free (15.48.67). Can you show me a picture of twins Justin and Reilly Baker? ?